You asked and we listened! 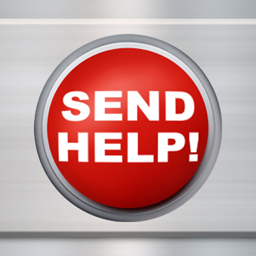 We’ve added Today View extension to our Send Help app that will automatically launch the app and send your SEND HELP alerts by tapping on the button. We fixed that pesky crash that a number of users have reported. Sorry for the delay on that guys! And we’ve also fixed a number of internal bugs and provided better notifications if an alert cannot be sent due to server error. Download it now in the iTunes Store! Next Post: SimpliDone! A Simple Daily Task Manager – Now available in the iOS AppStore!